Since 2012, Greenville Business Magazine has honored Greenville attorneys by publishing our Legal Elite feature. Winners are chosen not by our staff, but by area attorneys themselves. Legal Elite is the only award program in the region that gives every active attorney the opportunity to participate. This year, Greenville Business Magazine features the top vote getters in 20 categories with some interesting facts about each. Voting this year were 286 attorneys in the Greenville area. While attorneys are allowed to nominate members of their own firm, for each in-firm nomination, there had to be an out-of-firm nomination. Voters are not allowed to vote for themselves. The winners are the Legal Elite for 2017 and we are pleased to honor them. Tami McKnew concentrates her practice in the areas of antitrust, dealerships, franchising and intellectual property. 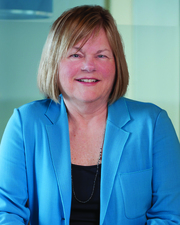 Among the issues she has litigated are dealer and franchise termination cases, breakaway franchisees, post-termination franchisee/dealer compliance and enforcement (including de-identification), restrictive covenants, disputes among competitors, unfair competition, market exclusion, Sherman Act Section 1 and 2 actions in various industries, trademark infringement, patent infringement, copyright infringement, and trade secret misappropriation. In addition, she handles franchise formation and compliance, distribution system reorganizations, pricing issues, and trademark proceedings. 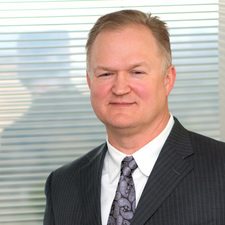 McKnew has litigated competitive issues and advised clients in various industries, including automotive, grocery, healthcare, industrial machinery, and consumer products, in a variety of situations; Department of Justice antitrust investigations; exclusivity and most favored nations contractual provisions; pre-merger governmental filings; mergers and acquisitions that implicate the antitrust laws; and other issues. McKnew served as the managing partner of Leatherwood Walker Todd & Mann from 1995 through 2000, and is the firm’s pro bono supervisor. She has been active in the community for decades, including with the United Way, the Institute for Child Success and The Nature Conservancy, as well as many other organizations. McKnew has one daughter, Bronwyn; a son-in-law, Thomas; and the most beautiful granddaughter in the world, Adelaide. She enjoys hiking, cooking, and travel. She skis badly, but gamely. In her next life, she would like to run an occasional Asian restaurant. Henry Parr | Wyche, P.A. 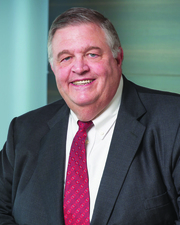 Carroll H. “Pete” Roe Jr.
Carroll H. “Pete” Roe, Jr., is one of the four founding partners of Roe Cassidy Coates & Price. A native of Greer, Roe and his wife of 47 years moved to Greenville in 1972, where they have lived ever since. He has four children and 13 grandchildren. Roe is a member of the Greenville County Bar Association, South Carolina Bar Association, South Carolina Defense Trial Lawyers Association and the Defense Research Institute. He has practiced law for 46 years and admitted to the South Carolina Bar, United States District Court for the District of South Carolina, United States Court of Appeals, Fourth Circuit, and the United States Supreme Court. 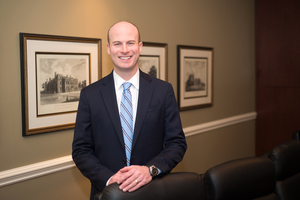 After graduating from Emory University and the University of South Carolina School of Law, Roe began his legal career performing title searches in a small real estate firm. After spending every Saturday in the courthouse searching records for an entire year, Pete decided the legal profession had more to offer, so he moved to Greenville, where he has been engaged in the general practice of law. Although a general practitioner, he concentrates his practice in commercial real estate transactions and commercial litigation. He has been named a South Carolina Super Lawyer and Greenville Business Magazine Legal Elite on multiple occasions, and has been listed in The Bar Register of Preeminent Lawyers for a number of years with an AV rating for more than 25 years by Martindale Hubbell. His commercial real estate experience includes representing financial institutions, sellers and purchasers for various types of commercial real estate projects. Jim Cassidy | Roe Cassidy Coates & Price P.A. Roe Cassidy Coates & Price P.A. Jim Cassidy, one of the founding members of Roe Cassidy Coates & Price, P.A., has been engaged in the general practice of law for 43 years. Cassidy received his undergraduate degree from The Citadel in 1971 and law degree from University of South Carolina in 1974. 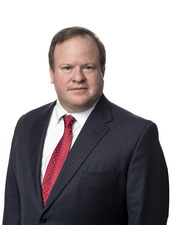 He was certified by the South Carolina Supreme Court in 1993 as a specialist in bankruptcy and debtor-creditor law, and currently serves on the Supreme Court of South Carolina Commission on Continuing Legal Education and Specialization’s Bankruptcy and Debtor-Creditor Law Specialization Advisory Board. 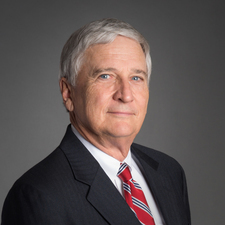 In addition to serving on the advisory board, he served as a South Carolina Bar examiner for commercial law for three years and has been a member of the South Carolina Bankruptcy Law Association’s board of directors since 2008. Cassidy continues to assist local banks and corporate clients in debtor-creditor issues. Marshall Winn | Wyche, P.A. Steve Farrar has spent his career counseling clients in extraordinarily complex situations and, in those situations when trial is the best course, aggressively protecting those clients in court. His role as a trusted adviser and creative problem solver for a variety of businesses, business leaders and professionals has made him the lawyer people seek when they need advice or help on serious business and professional matters. He is an experienced trial lawyer who also brings the business sensibility of having worked as a Certified Public Accountant to bear in each of his cases. 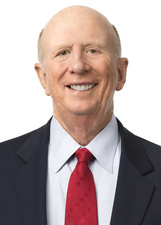 Farrar’s experience with various complex issues is reflected in only a sample of those matters he has tried: corporate dissolutions, charges of securities fraud and improper corporate activity, defending accountants and lawyers in malpractice actions, construction defect cases for owners, developers and contractors, and defending automobile manufacturers from massive product liability exposure. Bernie Ellis | McNair Law Firm, P.A. Josh Hudson | Roe Cassidy Coates & Price P.A. Wallace Lightsey | Wyche, P.A. Randy Moody | Jackson Lewis P.C. Josh Smith | Roe Cassidy Coates & Price P.A. Tom Traxler | Carter, Smith, Merriam, Rogers & Traxler, P.A. Michele Lyerly’s practice is devoted primarily to the representation of developers, investors and users of commercial real estate in the acquisition, construction, financing, development, leasing and sale of shopping centers, office buildings and mixed-use developments. Lyerly has significant experience in the acquisition of land for large-scale retail, mixed-use and “lifestyle” developments and in the preparation and negotiation of retail tenant leases. Her experience also includes negotiating and drafting purchase and sale agreements, operating agreements, joint venture agreements, easements, restrictive covenants, development agreements, management agreements, ground leases and both retail and office leases. Her practice also includes real estate financing such as traditional acquisition and construction loans, new market tax credit financing and tax-deferred exchanges. 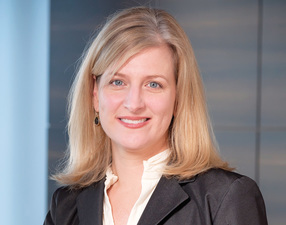 Lyerly currently serves as a member of the firm’s compensation committee and she is a past practice area leader for the firm’s commercial real estate practice group. Maurie Lawrence | Wyche, P.A. 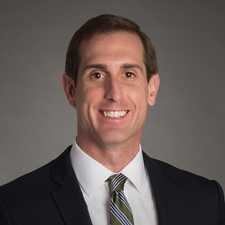 Andy Goldsmith Jr. is a third-generation lawyer, a native of Greenville, and a self-described “hard hat lawyer.” His focus on construction law enables him to anticipate and address issues related to bidding, contracting, performance, and payment. He frequently serves as outside counsel for the firm’s clients. He has litigated and resolved substantial claims involving public and private construction across South Carolina, North Carolina, Georgia, and Florida. Goldsmith Jr. has authored numerous publications related to construction law and contributes regularly to the firm’s blog (elmoregoldsmith.com/hardhatblog). L. Franklin Elmore | Elmore Goldsmith, P.A. Bryan P. Kelley | Elmore Goldsmith, P.A. Bill Wilson | Wyche, P.A. Thomas, Fisher, Sinclair, & Edwards, P.A. Matt Edwards is a shareholder with the law firm of Thomas, Fisher, Sinclair & Edwards, P.A. and concentrates his practice in the areas of taxation, business formations and commercial law, complex estate planning, probate and trust law, business sales, mergers and acquisitions and nonprofit/charities law. Edwards is a graduate of the University of South Carolina School of Law, where he served on the South Carolina Law Review and Moot Court Bar, and received several awards (including the CALI Awards for Professional Responsibility and Fiduciary Administration). Edwards received his master of laws in taxation degree from the University of Florida Levin College of Law. 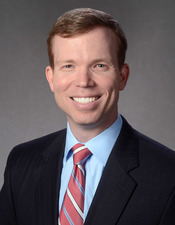 Edwards is also an Eagle Scout, a member of the South Carolina Bar and Greenville County Bar, and serves as a member of the board of directors on the Greenville Estate Planning Council. Eric B. Amstutz | Wyche, P.A. Jeffrey K. Gurney | Thomas, Fisher, Sinclair & Edwards, P.A. Philip Land | Haynsworth Sinkler Boyd, P.A. Beattie Ashmore has been practicing law in South Carolina for more than 30 years. 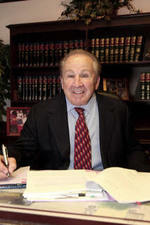 Having grown up in Greenville, he is particularly proud to be a member of the Greenville County Bar. He has appeared in state and federal courts all over South Carolina and in a handful of other states, and Greenville attorneys are widely respected for their outstanding collegiality and professionalism. Again this year, 14 of the 25 Top 25 Super Lawyers are from Greenville. Two of the state’s five Supreme Court Justices are from Greenville and the Upstate federal judges are consistently rated amongst the best in the nation. The magistrates and their staffs are also outstanding as is required given their tremendous workload. Of course, the best judge in the state is the one he’s appearing in front of at the moment. Beattie says it is honor to serve alongside so many fine and outstanding people that make the Greenville court system the best in the state. Bill Coates | Roe Cassidy Coates & Price P.A. Josh Smith focuses his practice on helping businesses and individuals address and solve issues in litigation. He advocates for clients in both state and federal court at the trial and appellate levels in business disputes, trade secrets and unfair competition cases, employment matters and financial litigation. Smith also assists clients with environmental regulators in court and beyond. His varied environmental experience includes advising clients on matters arising under the Administrative Procedures Act, the CERCLA, the Clean Water Act, and the S.C. Pollution Control Act. Smith assists clients in investigating and responding to permit challenges and enforcement actions before administrative agencies, including USEPA and SCDHEC. Smith also works with clients outside the courtroom to implement strategies and practices to avoid litigation. He advises businesses and individuals on various employment, contract, and business-related matters and negotiates with environmental regulators and potential adversaries to resolve disputes before they reach the courthouse. Super Lawyers has recognized Smith as a Rising Star in business litigation every year since 2014. Greenville Business Magazine has deemed him one of the Upstate’s Legal Elite in environmental law each year from 2012 to present. Smith is a Greenville native, a graduate of Clemson University and the USC School of Law. During law school, Smith served as an editorial board member for the Southeastern Environmental Law Journal. In addition, he worked as a law clerk for the EPA Region 4 Office of Environmental Accountability, SCDHEC General Counsel’s Office, and the National District Attorney’s Association College for District Attorneys. 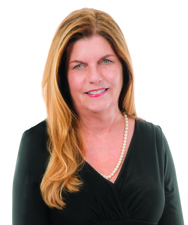 Rita Bolt Barker | Wyche, P.A. Gregory J. English | Wyche, P.A. Reid Sherard is a Greenville native. After earning his undergraduate, master, and law degrees, he returned home to clerk for Judge G. Ross Anderson, Jr. After his clerkship, he started at Nelson Mullins in 2005 and is a partner of the firm. Sherard concentrates his time assisting clients with a broad range of family court needs, from thorny international jurisdictional disputes to contested custody matters to complex financial issues. He has deep litigation and appellate experience, having tried a number of cases in a variety of courts and argued ten appeals. He dedicates a significant amount of time each year to pro bono matters, and is a certified family court mediator. His peers recognized him as the top attorney vote getter for 2017 Greenville Business Magazine Legal Elite, the second consecutive year he has been so honored. He also is listed in The Best Lawyers in America and South Carolina Super Lawyers (top 25 in the state for 2017, the youngest lawyer in South Carolina on that list regardless of practice area). He is a fellow of the American Academy of Matrimonial Lawyers, and the recipient of both the Distinguished Honors Alumni award from the USC Honors College and the Compleat Lawyer Award (Silver) from the USC School of Law. He is married to an attorney, and they are proud parents. In addition to spending time with his family, he enjoys Gamecock athletics, travel, and barbeque. He serves the community as board president of A Child’s Haven, Inc.; other board service includes YMCA Camp Greenville, the South Carolina Historical Society, and the University of South Carolina Board of Visitors. Amos Workman | Wyche, P.A. David Wilkins considers himself to be just an ordinary guy from Greenville that God has blessed with extraordinary experiences and by putting amazing people in his path – most especially his wife of 46 years, Susan. When most everyone thought it was crazy for him to run for the South Carolina House in 1980, Susan encouraged him and helped him win. Fourteen years later, in 1994, Susan and his sons, James and Robert, watched as he was sworn in as the first Republican speaker of the S.C. House in more than 100 years. Controversial issues like video poker, moving the Confederate flag, and the 9/11 terror attacks made those 11 years challenging and memorable. President George W. Bush appointed Wilkins as his Ambassador to Canada in 2005. He and Susan moved to Ottawa, embarking on the most remarkable three and a half years. They traveled across Canada and met historic and heroic figures who left them inspired – particularly the brave Canadian Forces he visited fighting the war on terror in Kandahar, Afghanistan. Back home in February 2009, Wilkins was grateful to become a Nelson Mullins partner and chair of the public policy and international law practice group. He led then-Governor-elect Nikki Haley’s Transition Team in 2010, and chaired the board of trustees at his alma mater, Clemson University, for six years. Wilkins is proud to remain an active member on that and other worthwhile boards. But these days, nothing brings so much contentment for Wilkins and his wife as spending time with their two sons, their daughter-in-law Stephanie, and their nine-year-old twin grandchildren, Whit and Clary. 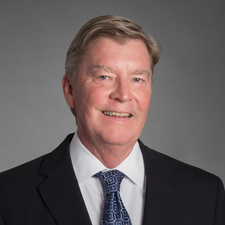 John Moylan | Wyche, P.A. Sandy Miller focuses her practice on the representation of health care providers. She is an experienced litigator, representing her clients in state and federal court in health care fraud and professional negligence cases, nursing home negligence cases, and peer review and disciplinary proceedings. Ten years of nursing experience prior to law school have given her a rare perspective and understanding of the needs of her health care clients. Miller received national recognition for her successful representation of a Sumter, S.C. physician in bringing a qui tam (whistleblower) suit. The 2013 case, tried alongside the Department of Justice, resulted in one of the largest fraud verdicts against a community hospital in U.S. history in Drakeford v. Tuomey Healthcare. The $237 million dollar jury award was upheld on appeal in late 2015, ending 11 years of litigation. Since that time, Miller has defended large hospital systems and medical device and equipment manufacturers in health care compliance, fraud and false claims act litigation pending in federal courts in South Carolina, North Carolina, Florida, and Ohio. Miller has been recognized in Woodward/White Inc.’s The Best Lawyers in America. She is a frequent speaker at national conferences on health care fraud litigation. She is an adjunct faculty member of the Charleston School of Law, teaching trial advocacy. For many years, Miller has made significant volunteer contributions to the Greenville community, having served on the boards and as president of both the Susan G. Komen Mountains to Midlands Affiliate and A Child’s Haven. Ross B. Plyler practices in the areas of business and employment law, college and university law, and insurance. In his insurance practice, Plyler defends local, regional, and national entities throughout South Carolina. He also represents insurance companies in litigation involving coverage disputes, first party claims, commercial liability, errors and omissions, and bad faith claims. 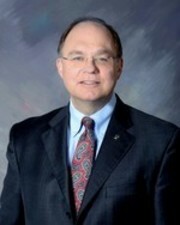 Plyler is active in legal organizations as a 13th Judicial Circuit representative to the South Carolina Bar House of Delegates, a member of South Carolina Defense Trial Attorneys’ Association (SCDTAA), a member of Defense Research Institute (DRI), and a member of the Haynsworth-Perry American Inn of Court. Ross is also active in the Greenville community, serves as an elder at First Presbyterian Church, and enjoys spending time with his family attending their swim meets, soccer games, and in coaching their basketball teams. Within a few months of being admitted to the South Carolina Bar, Tim Williams tried his first case to jury in 1995. Originally a chemical engineer, Williams applied to law school after watching attorneys try a case in Texas, where he was attending graduate school. He began his career in Columbia with a firm that guaranteed trial experience, and Williams has since tried more than 50 cases to verdict in matters including criminal law, products liability, personal injury, and intellectual property. Some of Williams’ more memorable moments include: Appearing in his first case in front of Chief Justice Costa M. Pleicones, at the time a Circuit Court Judge presiding in Kershaw County, on a suit for recovering video poker losses; calling a literal “rocket scientist” to testify as an expert in a patent infringement trial about plasma fields; and helping free a longtime friend who was incarcerated for more than seven years based on DNA results ultimately found to be unreliable. In more than 20 years of practice, Williams has enjoyed working with clients on matters ranging from automobile accidents to laser sorters, from train derailment to tire design, and from construction defects to data encryption. As a shareholder at Dority & Manning, he currently assists clients with obtaining and protecting intellectual property, including related litigation. Williams and his wife Valerie, also an attorney, live on a small farm near Campobello. When not practicing law, he enjoys outdoor activities with his three children, working around the farm, and serving in his church. Neil Batavia | Dority & Manning, P.A. Alan Marshall | Dority & Manning, P.A. Terrell W. Mills | Wyche, P.A. Parks Workman | Dority & Manning, P.A. 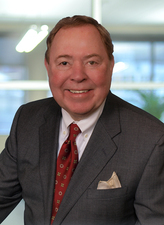 John Hardaway’s career in IP law began as a patent examiner with the United States Patent and Trademark Office. The date coincided with the first lunar landing, aptly anticipating the launching of his future practice into the global arena. Today, his clientele base extends to many countries around the world. An extensive, ongoing travel schedule helps maintain his contact with clients, a network of foreign associates, and multiple international professional associations. Hardaway is well versed in the procedures of the America Invents Act and keeps abreast of the regulations in foreign IP law, particularly changes to the laws in Japan, China, India and countries of the European Union. Hardaway devotes many hours annually to the American Intellectual Property Law Association (AIPLA), the International Trademark Association (INTA) and the Fédération Internationale des Conseils en Propriété Intellectual (FICPI), as he has done for more than 25 years. He has served on the U.S. Council for FICPI for many years and as the U.S. president for three years. Offering active support to the YMCA has been one of Hardaway’s foremost interests for many years. He is serving on the developmental board of the Greater Greenville Metropolitan YMCA, has been chairman of the Technology Education Committee for the Rotary Club of Greenville for 10 years, and has chaired the Rotary International Youth Exchange. 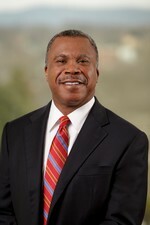 Hardaway is also a former chairman and currently serves on the board of Japan America Association. Hardaway always enjoys a round of golf. Japan is his favorite venue, especially the courses near Mount Fuji. Garrett Steck | Haynsworth Sinkler Boyd, P.A. Phillip Kilgore, a shareholder in the Greenville office of Ogletree Deakins, credits family friend Al Sivewright with piquing his initial interest in labor and employment law as a career. Sivewright, an executive with a textile company, told Kilgore that labor and employment law was “a growing field” and he should consider it. Kilgore was in high school at the time. For the next decade, Kilgore explored other career options, but he never forgot that advice. After graduating from law school, Kilgore clerked for Judge Frank McGowan and worked for now Fourth Circuit Judge William Traxler in the Solicitor’s office. Through his volunteer work with the Boy Scouts, Kilgore got to know Baker Wyche, a founding shareholder of Ogletree Deakins. Wyche mentioned that the firm needed a litigator to support its growing employment and tort litigation practice. Thirty-one years after his interview, Kilgore is still litigating employment cases with Ogletree. Kilgore credits Ogletree for supporting his career and giving him a platform to serve exceptional clients in his field. He also credits many fine lawyers he worked with along the way, including Wyche as well as former firm managing shareholder Gray Geddie. These and other senior lawyers modeled a strong work ethic and a successful style of lawyering, and gave Kilgore the independence to grow his skills and his own practice. For Kilgore, the top of his field has never been a goal. Rather, Kilgore believes success is best measured by whether other lawyers consider him trustworthy and consistent, and whether clients believe they have received excellent service. Andy Arnold | Horton Law Firm, P.A. Stephanie Lewis | Jackson Lewis P.C. Ellison McCoy | Jackson Lewis P.C. Andy Satterfield | Jackson Lewis P.C. Matt Whitehead is an experienced civil litigator and trial attorney, having represented numerous individuals of diverse backgrounds, local businesses, local government and some of the nation’s largest corporations in both state court and federal court. Whitehead joined The Carolina Law Group several years ago to focus almost exclusively on personal injury and complex litigation matters representing folks who have suffered injury or death through no fault of their own. A Hartsville, S.C., native, Whitehead grew up in a small but vibrant community, playing sports, spending time outdoors and playing guitar and saxophone. He attended the Honors College at the University of South Carolina, graduating with a degree in business management. He then went on to the USC School of Law, where he served on the Law Review. 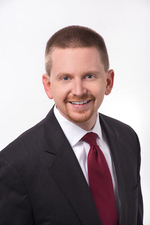 After graduating in 2005, Whitehead moved to Greenville to begin his career as a litigation attorney. He and his wife, Kristin, have made Greenville their home, along with their three kids, Rivers, Tucker, and Lillian. When he has time away from the office, Whitehead enjoys spending time with his family and friends, hosting cookouts, playing golf, camping and traveling. 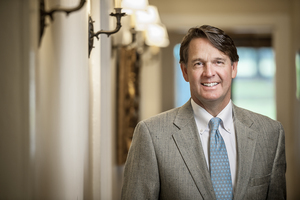 Whitehead is a member of the Million Dollar Advocate’s Forum, the South Carolina Association for Justice, the American Association for Justice, National Academy of Personal Injury Attorneys and has completed the South Carolina Trial Academy. He was also named one of this magazine’s Legal Elite in Personal Injury 2015 and 2016, and South Carolina Rising Stars Super Lawyers 2017 for personal injury. Peter Sallé is a member of Sallé Galloway, LLC, where he practices primarily in the area of residential real estate. The majority of his practice involves reviewing title work, drafting and reviewing contracts, easements and other legal documents, and closing real estate transactions. When Sallé graduated from law school in 2005, he and his wife Jenny moved back home to Greenville, and Sallé immediately began working with his older brother Cam at Sallé Law Firm, a firm Cam had started a year earlier. Twelve years and four kids later, Sallé is still at it, heading up the residential real estate practice for Sallé Galloway, LLC. Sallé enjoys real estate law largely because it is one area of law where both sides can leave happy. Whether it is a nervous first-time homebuyer or an experienced real estate investor, Sallé views every closing as a big deal. As Sallé likes to remind others, every deal involves real people, and his goal is to knowledgeably, competently and compassionately help each and every client that comes through the door. While the practice of real estate law requires legal counsel, Sallé will be the first to tell you that a well-run real estate practice also involves well-organized and thought out systems and processes, responsiveness, and, most importantly, a great team. Sallé Galloway’s inner workings have been fine-tuned over years of experience and thousands of closings. However, he still constantly seeks to find ways to improve the firm’s systems to provide greater responsiveness, flexibility and a better experience for everyone involved with a closing. But Sallé firmly believes that no matter how great a system may be, it will fail without the right team members. Sallé Galloway has been fortunate to grow its practice to include four attorneys in the firm’s Greenville office and two in the Daniel Island office. Sallé Galloway has also been the top producer for First American Title Insurance Company in the State of South Carolina four years in a row, an accomplishment which Sallé will tell you is a tribute to its hard-working staff. Amber Glidewell | Roe Cassidy Coates & Price P.A. David B. Greene grew up in Greenville and has seen the city grow exponentially. He is proud to call Greenville home. Greene graduated from Clemson University with a B.S. in physics and continued that discipline at Florida State University where he earned his M.S. and Ph.D. degrees in experimental molecular physics. He then obtained his J.D. degree in law, also from FSU, and was admitted to the South Carolina Bar in 1977. He founded the Greene Law Firm in 1984 and, since 1995, has successfully specialized in the IRS Tax Problem Resolution field. His passion and what pleases him most is seeing his clients’ faces after telling them a solution has been reached and knowing they are “getting their lives back.” During the period 2013 through 2015 he saved his clients more than $3 million with successful offers in compromise. The IRS Problem Resolution practice provided a natural progression into the field of estate planning, because he learned that so many people do not know how to preserve and organize their assets for their spouses and children. He has helped many clients form trusts and estate plans that ensure their assets are passed to their heirs in the manner they wish. Greene is married and has one daughter, Brittany, who recently graduated from Clemson and is now pursuing her MBA degree at Liberty University. 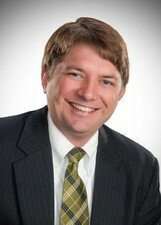 He is a member of the Greenville County Bar and the South Carolina Bar. He is also a member of the American Society of Tax Problem Solvers. He is admitted to practice before all South Carolina Courts, the Federal Courts and the U.S. Tax Court. Outside of the office you can usually find Greene at the family farm where he and his family enjoy spending time with their horse, dogs, cat and parrot. Greene’s other hobby is photography and videography. In the fall, his favorite thing is to watch Clemson football. Greene and his family are active members of Scenic Hills Baptist Church. Randy E. Fisher | Thomas, Fisher, Sinclair & Edwards, P.A. Cary Hall | Wyche, P.A. Thomas G. Sinclair | Thomas, Fisher, Sinclair & Edwards, P.A. Vernon Dunbar’s practice focuses on insurance and workers’ compensation defense. He began his career as a law clerk to the Honorable Ernest A. Finney, Jr. of the South Carolina Supreme Court. Dunbar served as a commissioner and chairman of the South Carolina Workers’ Compensation Commission. He has been in private practice focusing on insurance defense since 1995. Dunbar is also a certified mediator and has been recognized by The Best Lawyers in America. Dunbar is a member of the Litigation Section of the American Bar Association and has also served as the chair of the Business Torts Committee; he is also a member of the South Carolina Bar Association. He earned his juris doctor from University of Virginia School of Law and his bachelor of arts from Furman University. Dunbar serves the Greenville community through a number of organizations. He is currently on the board of directors for Artisphere, the advisory board for the Greenville Symphony Orchestra and the board of directors for the Greenville Local Development Corporation.